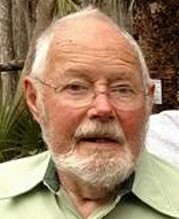 Earl C. Andrews died of heart failure at his home in Bethel on May 5, 2018. He was born on the Andrews family farm in North Paris Maine on July 7, 1925, the son of Alfred and Iona (Littlehale) Andrews. He graduated from West Paris High School in 1944. He served in the Navy from 1946-1948. He then went to the University of Maine and graduated with a degree in business in 1952. 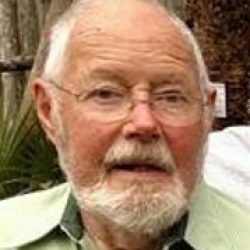 He married in 1950 and raised six children with his predeceased wife Amy Rogers Andrews. They lived in Abington Mass for most of their lives and, upon Earl’s retirement, moved back to Maine to the town of Oxford. He was an active member of the West Paris and Norway Granges for 60 years. He was an active member of the First Baptist Church of Abington, MA where he was superintendent of Sunday school, a Trustee and a Deacon. He was later a member of the East Otisfield Free Baptist Church where he remains Deacon Emeritus. His other activities included working on his property in Oxford where he managed his own wood lot, cut firewood, made maple syrup, grew many vegetables, berries, fruit trees, shrubs and helped Amy with her flower gardens. Earl loved agriculture and gardened his whole life. He also enjoyed hiking and camping with his family. He volunteered for several years in the mission field helping to build a hospital in the Dominican Republic, He was involved in the American Baptist Ministries at China Lake, ME, SWOAM, SCORE, Community Lunch in Norway and helped mow lawns at Market Square Nursing Home. Mr. Andrews was the father of six children, Cynthia of Whitman, MA, Alfred of Andover, ME and Oak Hill, FL, Martha of Methuen, MA, Bruce of Bethel, ME, Sharon of Bethel, ME and Jeffrey of Norway, ME. He is survived by his sister Florence of Mexico, ME, all of his children, 13 grandchildren and 16 great grandchildren. He was predeceased by his parents, brothers Harold and Herbert and sister Lucille, as well as a great granddaughter and three great grandsons. A celebration of life will be held at the East Otisfield Free Baptist Church on Saturday, May 12 at 11 am. Grave side service will follow at the Andrews Family Cemetery in North Paris at 3 pm. In lieu of flowers, donations may be made to the Oxford County Extension Service, 9 Olson Road, So. Paris, ME 04281 or online at extension.umaine.edu/Oxford/.